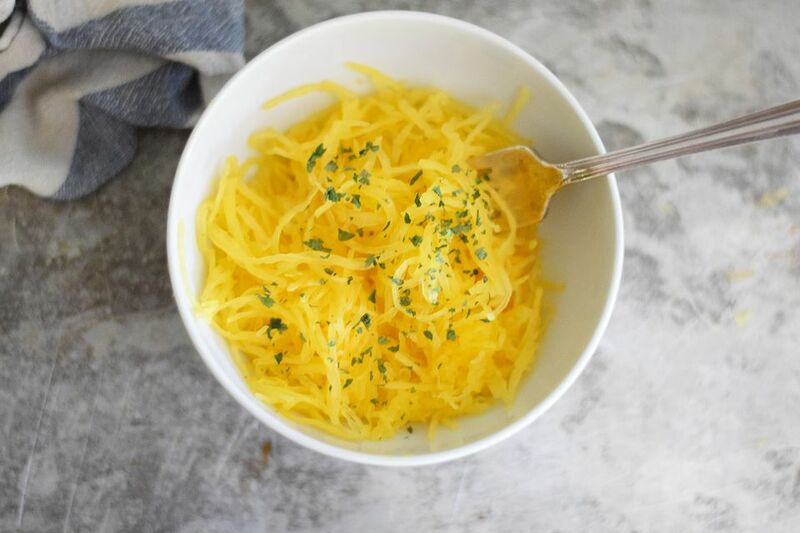 Spaghetti squash is a good alternative to pasta, potatoes, or rice. The cooked squash flesh shreds into threads like thin spaghetti or vermicelli, hence its name. On average, a spaghetti squash measures about 12 inches in length and about 6 inches in diameter. The squash should be an even light yellow color and firm with no bruises. Store whole at room temperature up to 3 weeks. Spaghetti squash is available year-round with peak season in fall. Spaghetti squash has a very mild flavor, thus it is usually served with a sauce of some sort. It also may be enjoyed simply with salt and a bit of butter. Cooking the squash is very simple. Prick the spaghetti squash all over with a metal skewer or fork so it will not burst while baking. Place whole squash in a shallow baking pan. Let baked spaghetti squash cool until it can be handled. Cut it in half lengthwise with a serrated knife. 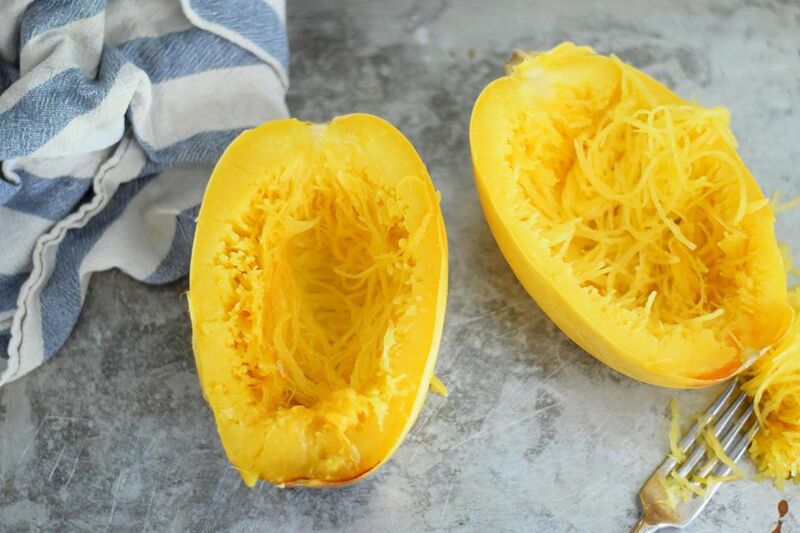 Scoop the seeds and fibrous strings from the center of each half of cooked spaghetti squash. Discard the seeds and strings or save for composting. Gently scrape the tines of a kitchen fork around the edge of the spaghetti squash to shred the pulp into strands. Continue until you have as many "noodles" as you can get. Use in a recipe. Cooked spaghetti squash is usually served with a sauce or gravy because the flesh is very bland in flavor. It can be served alone as a side dish with the addition of salt, pepper, and butter or as part of the main course. Try these recipes using spaghetti squash: turkey tetrazzini with spaghetti squash and pesto spaghetti squash with mozzarella. Bacon Delivered to Your Door Every Month!